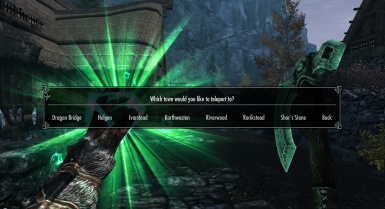 Adds 2 customizable spells to the game, 'Teleport' and 'Mark and Recall.' 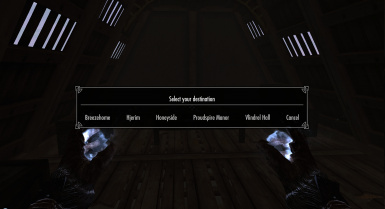 Casting these spells brings up a menu and allows the player to select their destination. 'Return' allows you to teleport back to the exact spot you last teleported from. Mark and Recall enables the use of 9 custom locations to teleport to. v5.0 BETA 2 HAS BEEN RELEASED! BE SURE TO READ THE FULL DESCRIPTION PAGE AND STICKY POST. Comments and user feedback are what keep me going. 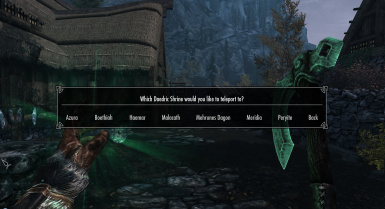 If you like this mod please let me know as it keeps me motivated to improve it even further! Adds 2 spells to the game, 'Teleport' and 'Mark and Recall.' 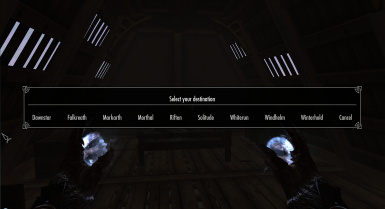 Casting these spells brings up a menu and allows the player to select their destination. 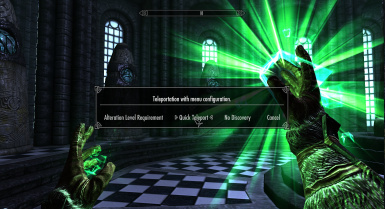 The spells can be purchased from Tolfdir at the College of Winterhold. -'Return' allows you to teleport back to the exact spot you last teleported from. 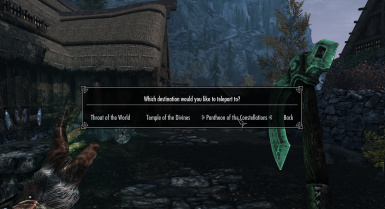 As an example, say you are in a dungeon somewhere and you become encumbered. Cast 'Teleport,' choose somewhere to drop off or sell your goods, then cast the spell again and select 'Return.' You will be placed right back where you were in the dungeon so long as you didn't choose another location to teleport to beforehand. Can be used while in interior cells and/or while encumbered. 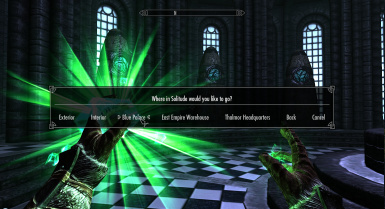 Locations must be discovered to appear in the menus (configurable). In the case of the houses you need its respective key. For others you generally need to meet a certain quest criteria. Allows the placement of 9 custom nameable locations! 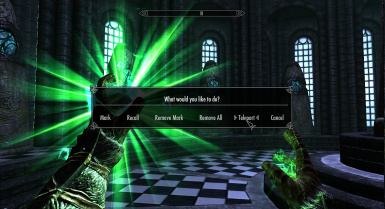 This mod allows player to do something the game was never built with the intention of doing. That being said, there of course is always the chance that quests may become broken if you Teleport at certain times. Most cases can be fixed with the console or simply not using it at times that may be foolish. If you experience any problems related to broken quests please let me know and I will see if I can patch it out.